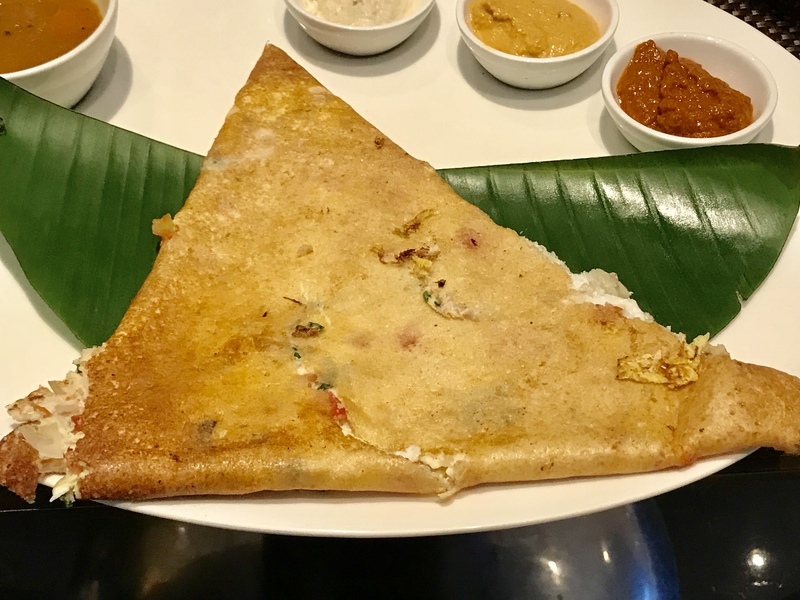 You have a live #Eggs counter and a live #Dosa counter during breakfast. I was in a mood to have both and ITC certainly knows how to pamper you. So, the Chef at the Dosa counter vanished into the back kitchen and prepared this wonderful #EggDosa for me. The egg filling had chopped onions and chopped tomatoes, giving it a typical punjabi touch whereas the outer was an authentic South. What a North-South combo of #MagicofFlavours.